As a mom, it’s harder to find hairstyles that are feasible. They need to be comfortable and last all day. 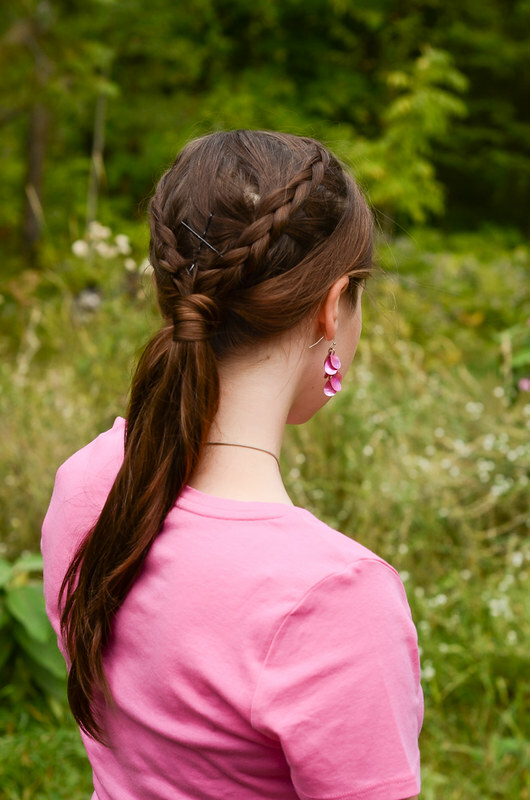 Most days I opt for a simple braid or pony. Lately I’ve been trying to put a little more effort into my daily hairstyles (it doesn’t always happen). And so, as requested, here’s a hairstyle that I tried out today. I don’t have time to film and edit a tutorial right now, but no worries: Kaley’s got your back. 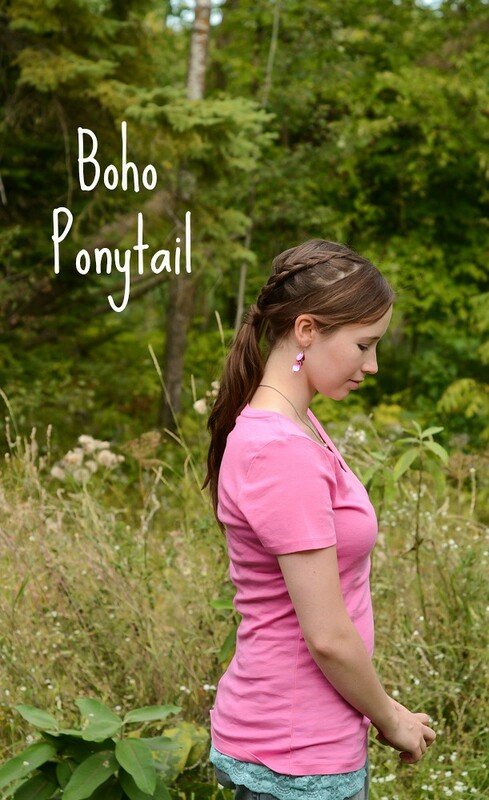 You can watch her tutorial for this boho ponytail HERE. I did mine a little differently – I left out the knot and just secured everything with an elastic at the back of my head and wrapped a piece of hair around to hide the hairtie. And of course I had to include of photo of Helen. 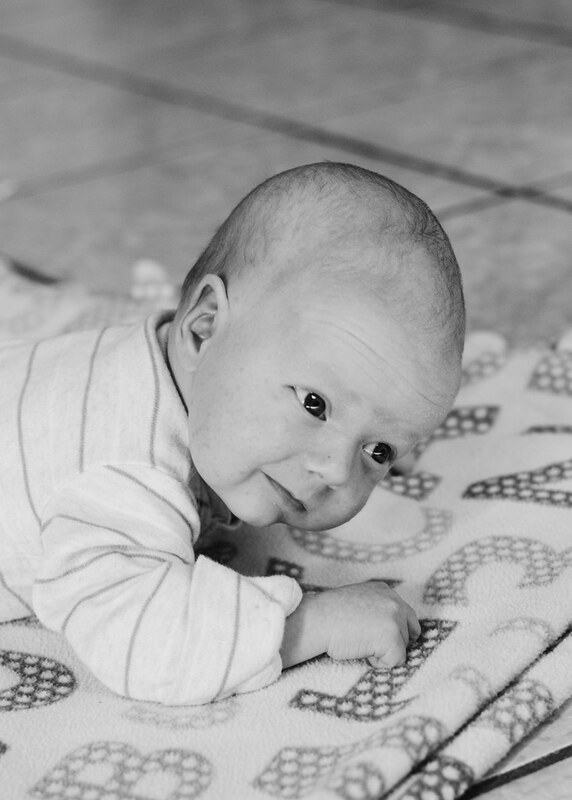 Little stinker. I was TRYING to paint my toenails today, but she kept following me around, trying to grab my toes or the polish bottle. She finally managed to smudge my big toe. Silly-head. I love her so. Photo credit goes to Reuben. And I know it’s super annoying that the back of my shirt is turned up in the first photo. Oh well. What’s your go-to hairstyle for active days? HAHA, I didn’t even notice that your shirt was turned up till you mentioned it. I too love boho braids, but I am also lazy. I will make a point to try this one though!